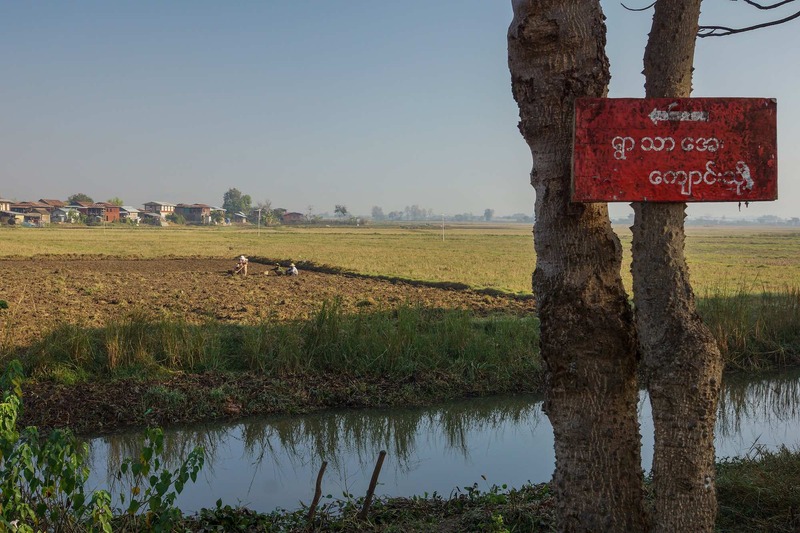 On our first day in the Inle Lake area, we did what most do – we spent the day boating around the lake and paying shore visits to markets, temples, and crafts cottages. Day Two would be a bit different. 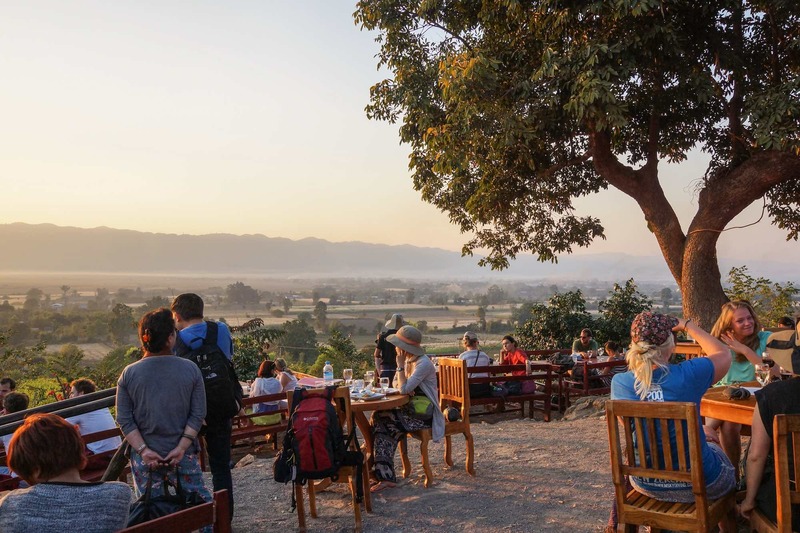 With our hotel in Nyaung Shwe as the starting point, we spent the morning bicycling down as far as the hilltop Nga Phe Kyaung Monastery just south of the Hupin Inle Resort, making a number of village visits along the way. 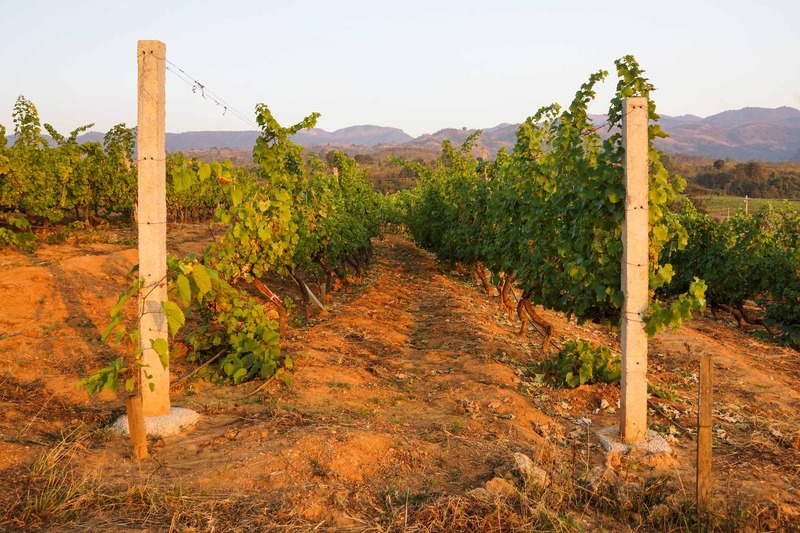 Then, after a return to our hotel for a brief rest, we bused in the opposite direction to spend a couple of hours chilling and sipping a variety of locally-produced wines at the newly-established Red Mountain Estate Winery. 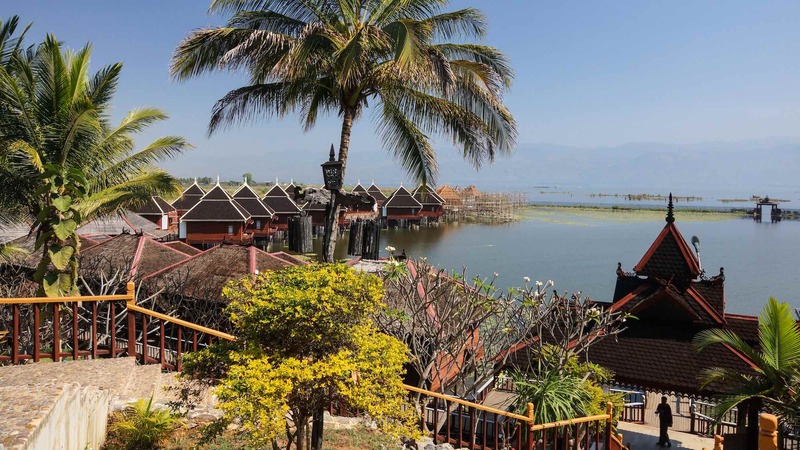 Scroll down and you’ll see pix of a pleasant day watching everyday life in the villages and crafts cottages at the top of Inle Lake. The bicycles we rented were fairly clunky Chinese ones that at least looked like mountain bikes. Not finding a frame large enough, I made do with a smaller bike and raised the seat as far as the post would allow. After heading west from town on a flat dirt road past fields like the one in the pix below, we came to a T-junction and turned left(i.e. south). At the junction was a sign pointing in the direction of the Hot Springs, one of the big attractions on the north-west corner of the lake. We stopped for a few moments and stocked up on cold drinks for the ride. The bottles in the photo below are filled not with carbonated water but with gasoline, enough to keep a motorcycle going for a few more kilometers! 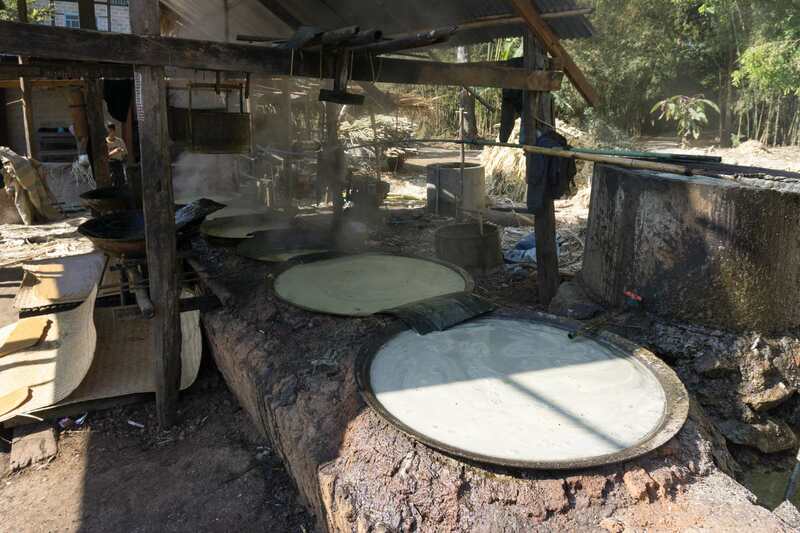 We did get off our bicycles for a visit to a sugarcane factory and watched the production process which took place outdoors in an open environment that would fail strict cleanliness rules. Back on our bikes, it was past the Hot Springs or at least the temple-like building into which the water from the hot springs has been piped into a swimming pool as well as a number of private bathing areas. 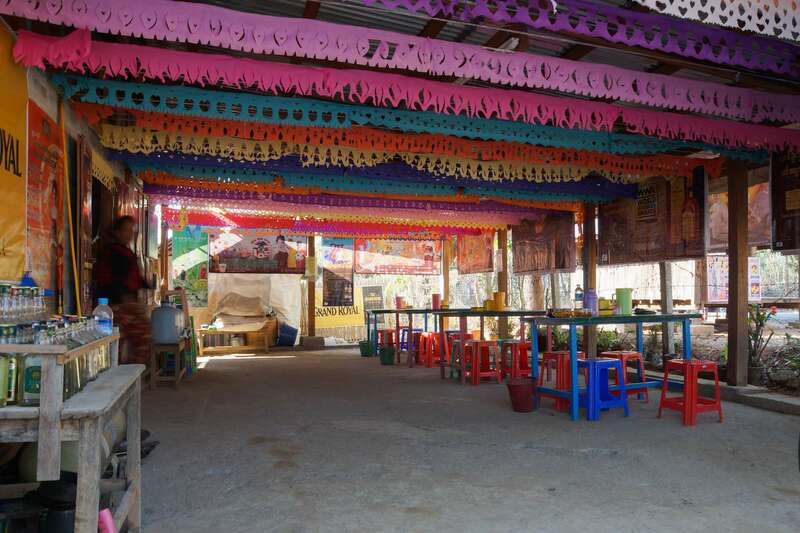 Not going in may have cost us an interesting cultural experience! I contented myself with reading over the rules and regulations posted for the patrons’ benefit. 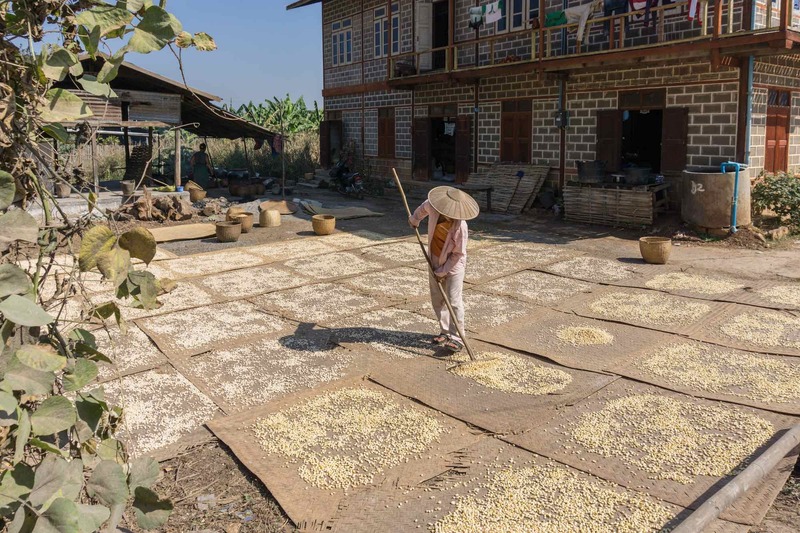 On our morning ride and walk through the Intha village of Khaung Daing we also saw more locals involved in large-scale food production. 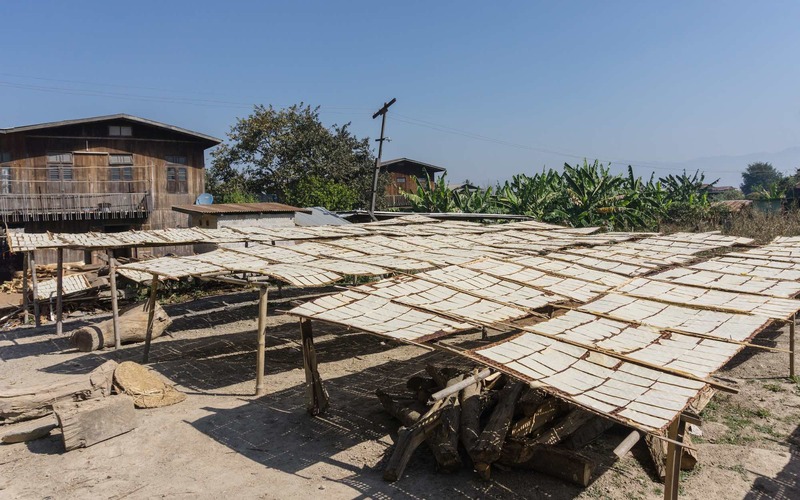 I the pic below is what I assume are pressed tofu sheets drying in the sun. 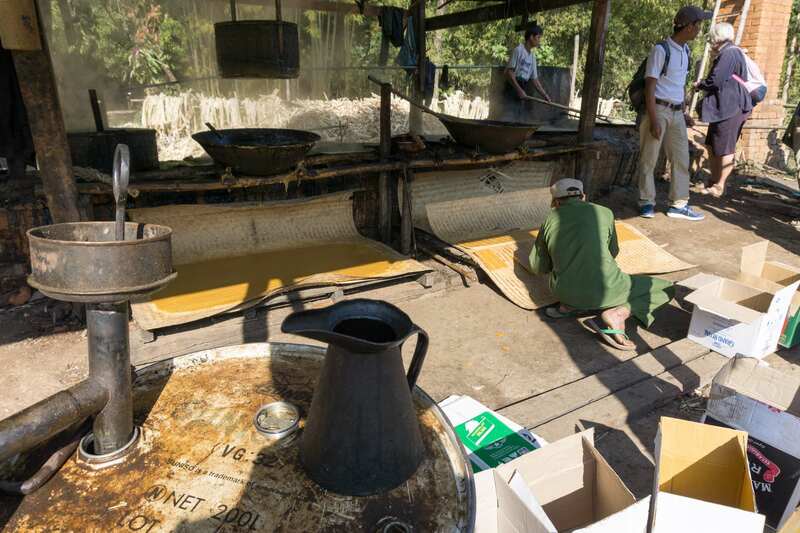 Apparently, the village is famous for its split yellow pea tofu, a different spin on the usual soybean tofu. 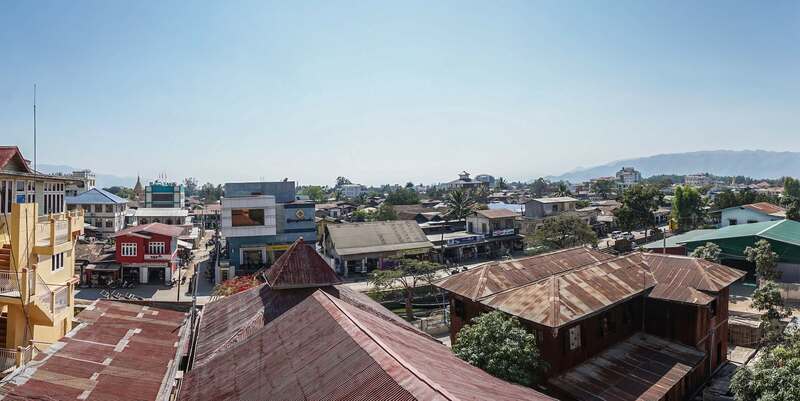 A hilly ride further south eventually brought us just past the Hu Pin Inle Khaung Daing Village Resort and a large parking lot which sits at the bottom of a series of steps leading up the hill to the Nga Phe Kyaung Monastery. Some of us walked up the steps to check it out. 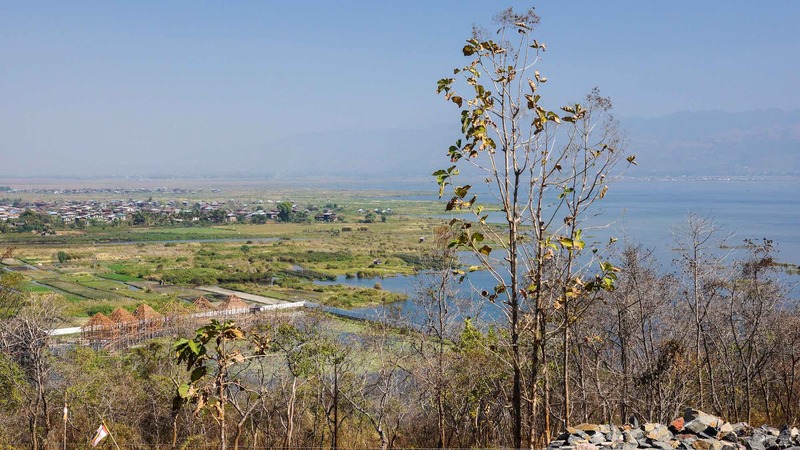 While we did not find anyone up there, we were rewarded with views of the north end of Inle Lake. Given the heat and humidity, the haze did reduce visibility as we framed different photos. 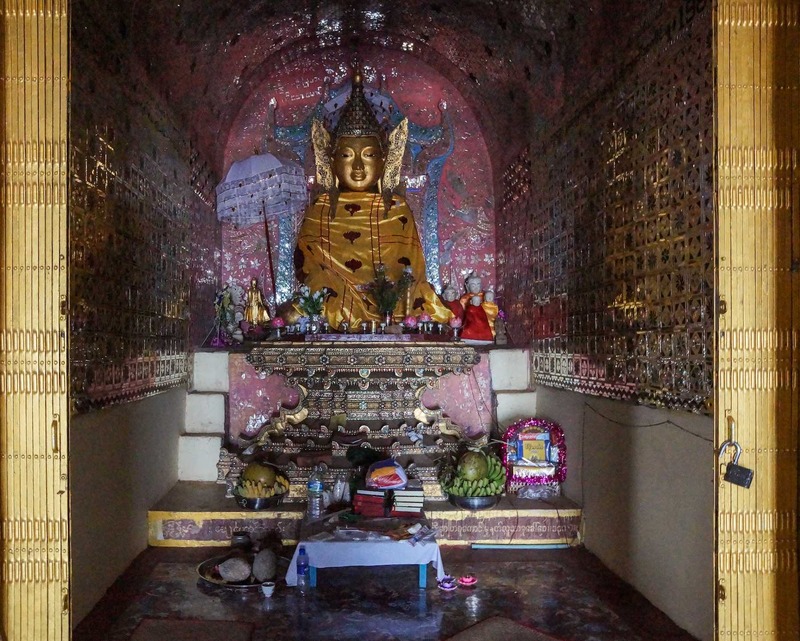 The monastery interior was fairly humble and had the usual inner shrine with a seated Buddha figure. 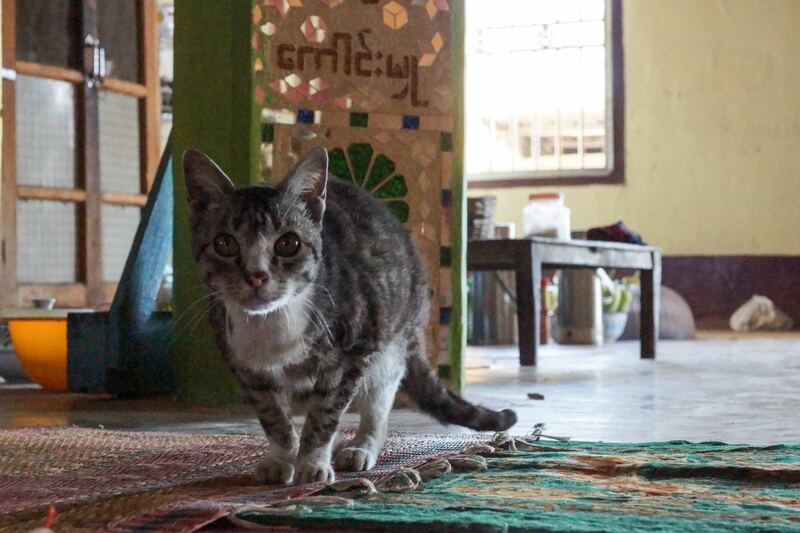 Following me around was the little bhikkhu you see below – a curious grey and white cat. 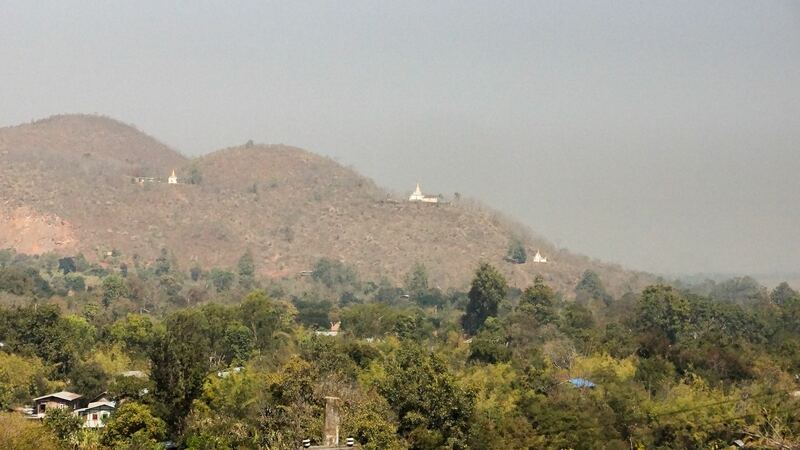 Back outside I took the pic below of the stupas on a hillside to the north of the hilltop monastery. The combination of the afternoon haze and the fact that the camera iso was still set at 1600 from inside the monastery made for the fuzzy – let’s call it Impressionistic! -painting below! On our way back to Nyaung Shwe we did stop for a few moments at the Hupin Inle Resort before returning to our hotel, another Hupin property. 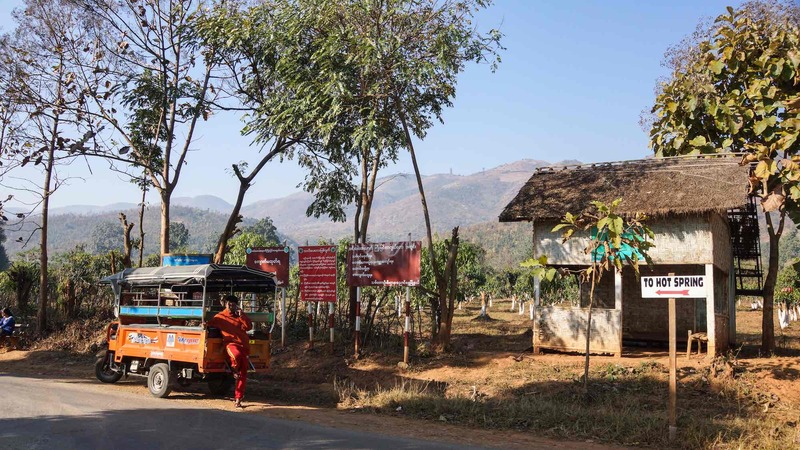 A popular diversion in Nyaung Shwe is to hire a bicycle or a tuk-tuk and visit the winery to the south-east. For $2. 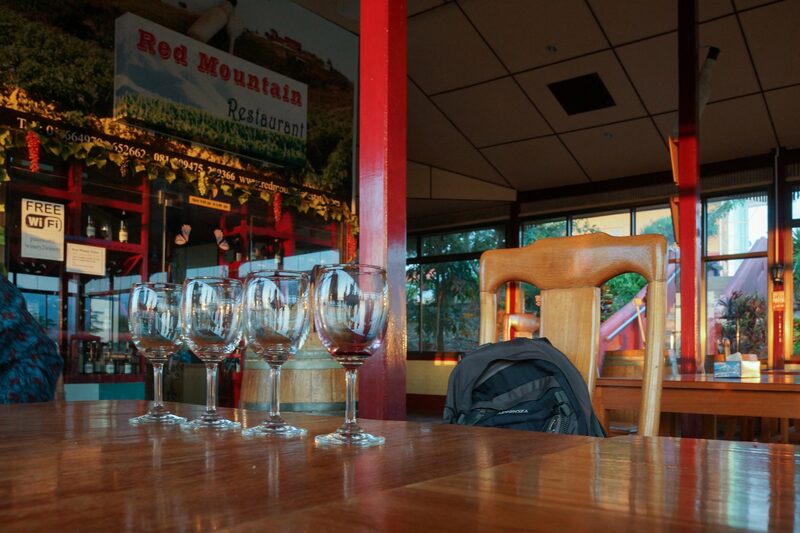 U.S. you can sample four different wines produced at Red Mountain Estate. Strolling around the vineyard and checking out the state-of-the-art European vats and other equipment is a clue that the investors are serious about establishing wine production here. A couple of the wines were not bad – I guess “a work in progress” would best describe this stage of the winery’s development. 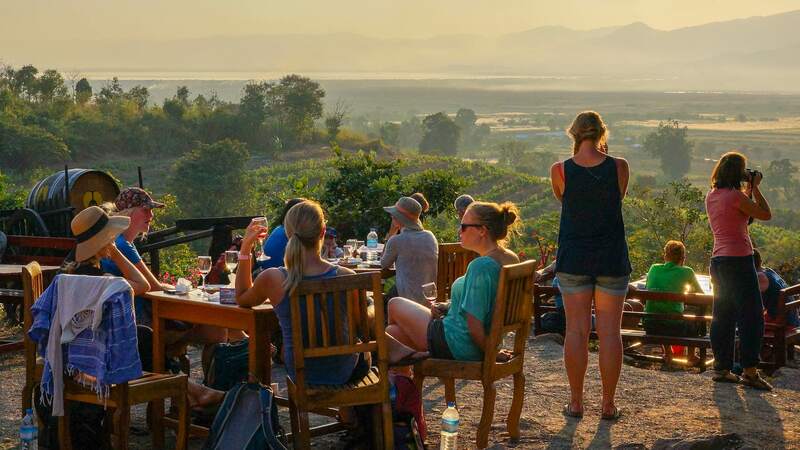 Other than the wine sampling, the real attraction is the view of Inle Lake in the late afternoon as the sun begins to set behind the hills on the west side. 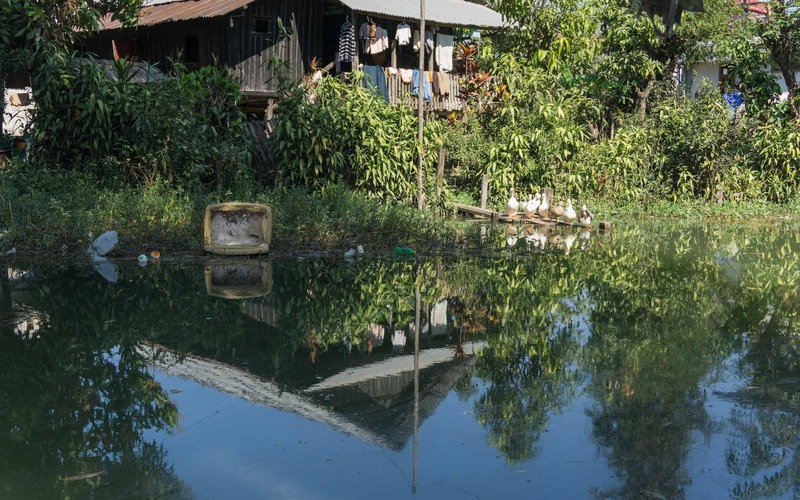 The tables were filled mostly with Europeans in their twenties living the good life on the cheap in this “Venice of Burma”! 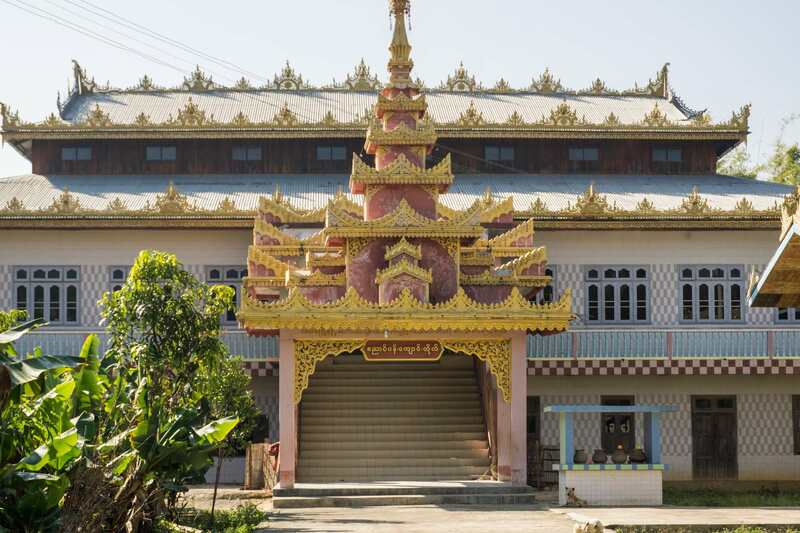 Something we did not do was visit any of the temples and shrines in Nyaung Shwe itself, except for the monastery just north of the town. 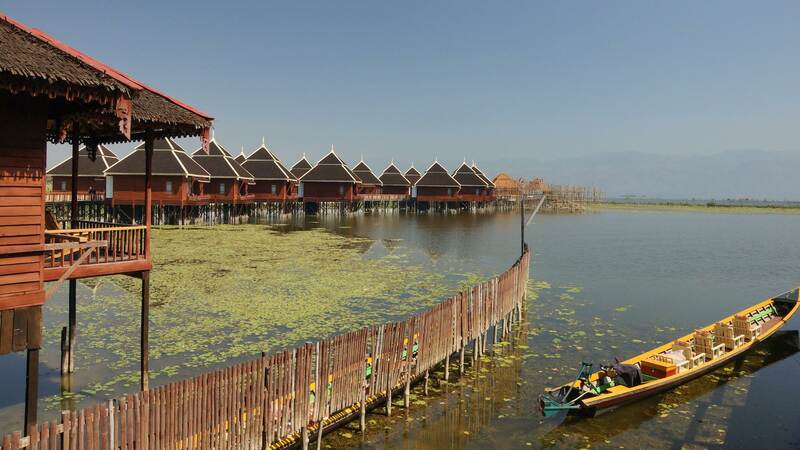 Perhaps, after three days of Bagan stupas and temples, and another three in Mandalay doing pretty much the same, a visit to Inle Lake is a reprieve (even if not 100%) from more of the same. 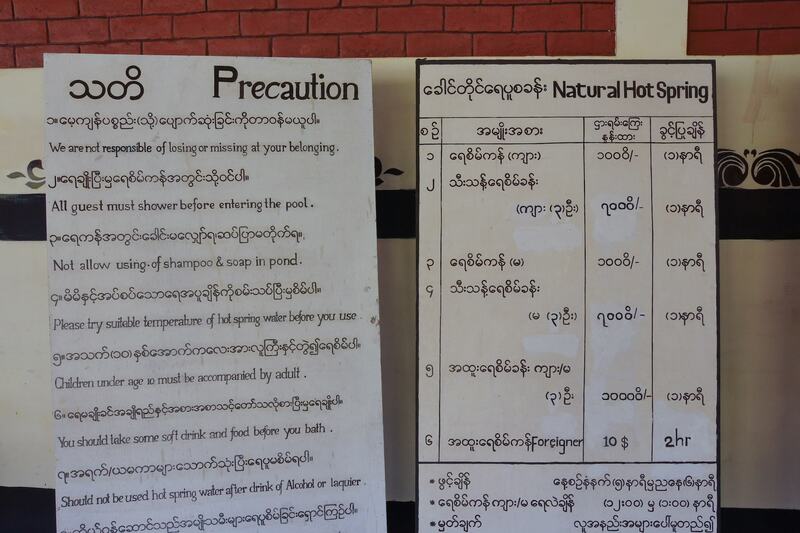 The next morning we would fly back to Yangon from the regional airport at Heho, a short drive from Nyaung Shwe. Our quick tour of some of the highlights of Myanmar over, folks would be heading back to the U.K. in a couple of days. 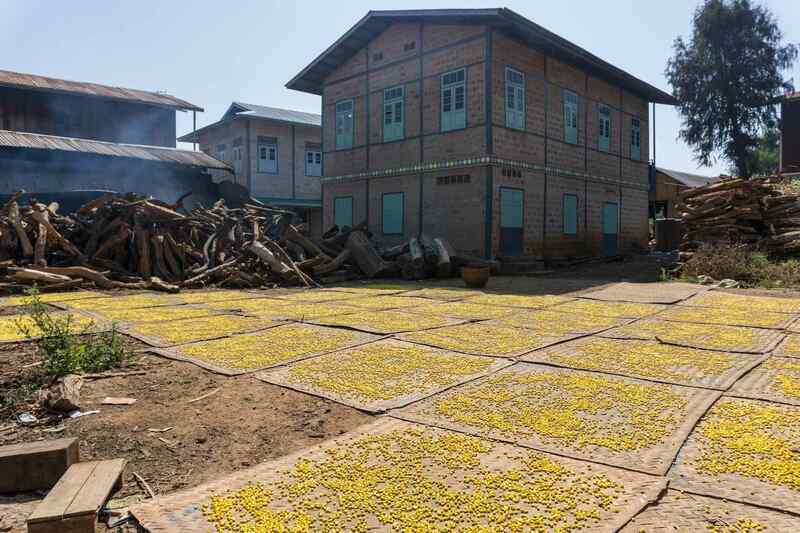 I had arranged to stay in Yangon for another four days, and would use that time to get to know Yangon a bit better as well as visit the once-capital of Pegu (Bago), some 70 kilometers NE of Yangon, a more recent once- capital!